Få insikt i Bulgariens unika historia och kulturarv på den här helgedagsturen från Sofia. Utforska de gamla kolmonnerna på Pernik-minmuseet, besök Krakrans medeltida fästning och upplev bulgariens gästfrihet med ett besök i Magdalenas hus, där du kan prova en rad traditionella bulgariska livsmedel och drycker. Although this tour may not appeal to everyone, we found it to be informative and very interesting. We firstly visited the Krakra fortress remains and our guide, who was very interested in archaeology, was very enthusiastic and knowledgeable about the history of the same. 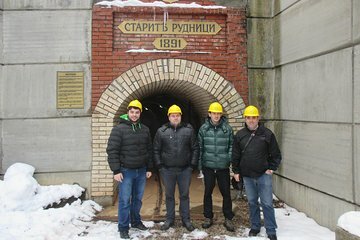 We then visited a very authentic coal mining museum in Pernik, which gave us an idea of the underground working conditions of the miners....once again, our guide was excellent on this subject. Finally, we had an authentic Bulgarian lunch in a remote village, at a house belonging to Magdalena. She was very hospitable and provided large amounts of delicious food. All in all, we found this trip to be good value for money....it is ideal for travellers who are interested in the culture/history of a country.